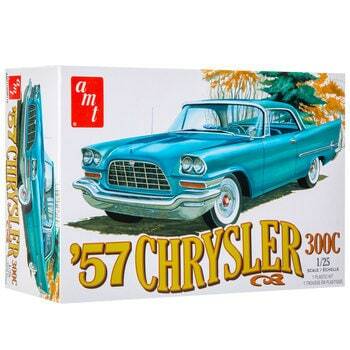 Add to your special model collection with 1957 Chrysler 300C Model Kit! This cool kit will create a scaled down version of a 1957 Chrysler 300C that you can customize with your very own paints (not included). Assemble the model, and add it to the top of your dresser or a shelf to display it with pride!